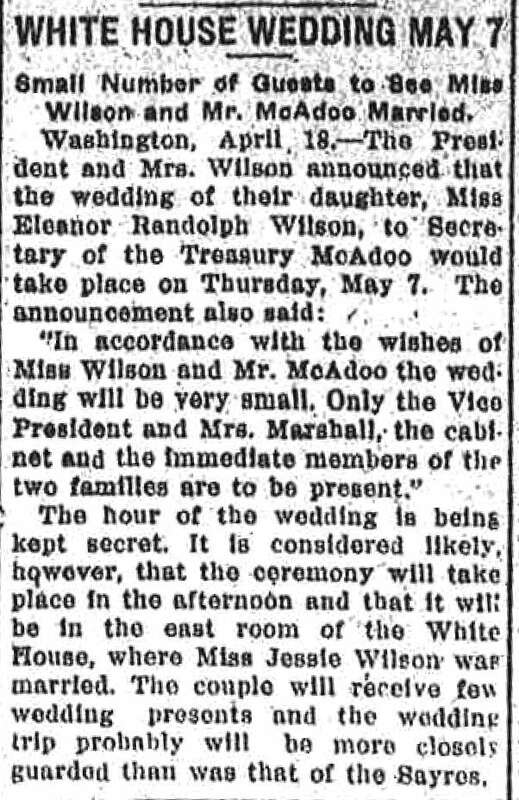 On May 7, 1914, Eleanor Wilson, the daughter of President Woodrow Wilson married William McAdoo. Eleanor was 24 years old, and he was a widower who was 26 years older than her. He was also the Secretary of the Treasury. 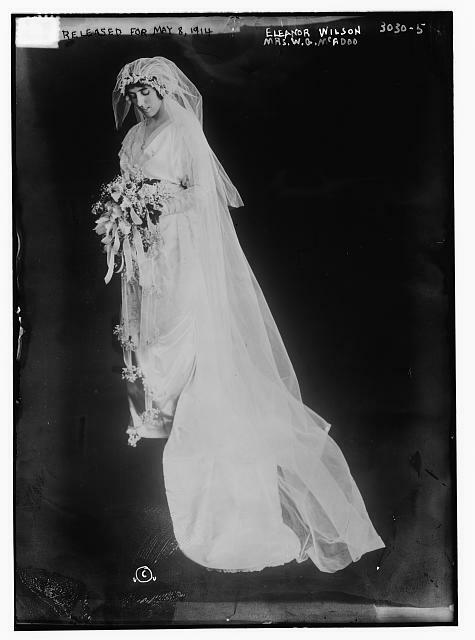 The couple divorced 20 years later when McAdoo was elected U.S. senator from California and Mrs. McAdoo had to remain in California for health reasons. Posted on May 8, 2014 May 7, 2014 by SherylPosted in OtherTagged family history, genealogy. Wow 26 year age difference. I know it happens but I just can’t see myself having anything in common with someone that much older than me. no kidding! She was 4 years younger when they got divorced twenty year later, than he was when they got married! That is a HUGE age difference! Yes, 26 is a large age difference. My wife and I have enjoyed our 13 yr difference for over 30 yrs and counting. wow if he was 26 years older than her, he was 50 when they got married and 70 twenty years later when he was elected as senator? Wow! A 26 year age difference would make for a difficult marriage, I would think. But I’m all for small weddings! Some weddings seems more like staged theater productions than a simple gathering to make vows to each other. I have to admit that I’ve been feeling guilty knowing how much time your grandmother spent doing spring cleaning! I can’t seem to get motivated enough to roll up my sleeves and begin. They had a lot more self-discipline 100 years ago! 20 years. Seems to be some kind of magic number. That’s how long Lou and I lasted. But what a great family we could boast of.